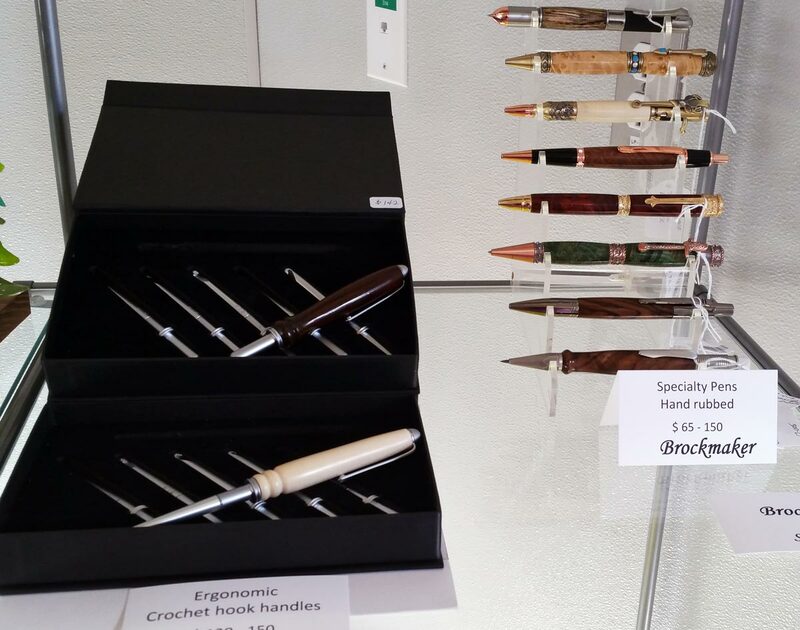 These beautiful crochet hooks have an ergonomic handle and a variety crochet hooks. The hooks can be turned around in the handle to be stored with yarn, without grabbing when it is removed. Pens are made with Parker ink by Brockmaster, Sam Brock. His knowledge of woods and craftsmanship is amazing.